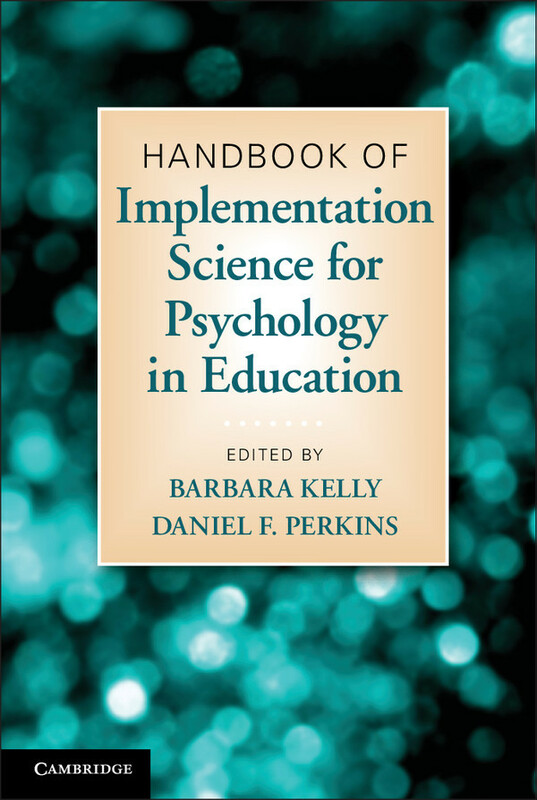 The Handbook of Implementation Science contains essential information for those wishing to implement interventions in educational settings. On 28th July 2014, I gave a presentation on the Mindfulness-based Awareness Training (MBAT) intervention at the Implementation Science Conference, organised by the East London Consortium of Educational Psychologists (ELCEP). Implementation Science is a relatively new area of scientific, academic and practitioner interest that focuses on exploring and explaining what makes interventions work in real-world contexts. The conference included inspiring talks and workshops. One keynote speaker, Barbara Kelly, University of Cambridge, was the co-editor of the “Handbook of Implementation Science”. She spoke about making use of implementation Science in order to successfully transfer and replicate evidence-based approaches, outlining what an intervention needed in order to be implemented successfully. The factors for this included focusing on the beliefs and values of those trained to deliver the specific intervention and providing consultation and coaching during the implementation process itself. Another keynote speaker was Elaine Wilson, also from the University of Cambridge. She presented two case studies in educational contexts; firstly Initial Teacher Education (ITE) in school-university partnerships and secondly, teacher education reform in Kazakhstan. She explained that certain factors were important to implementing sustainable change, including adopting a “can do” positive approach and focusing on a few, important ambitious goals. One of the workshops was my presentation on the process by which the MBAT intervention had been developed through doctorate research and further refined when implemented in another setting. The MBAT intervention is a mindfulness training course for children and young people with Special Educational Needs and Disability (SEND). It aims to empower the participants with skills for self-regulation of emotions, helping them be calmer and better focused. The intervention includes gathering information about the context in which the child or young persons needs to develop their skills and understanding. This enables the MBAT intervention to be adaptable to the needs of the individual concerned. The process of developing the MBAT intervention was outlined in the presentation and the handout for this is available here. Overall, the conference was an inspirational experience, motivating me to learn more about Implementation Science. Currently the materials for the MBAT intervention are being developed into a practitioner workbook. If you are interested in this work, please contact Holistic Education. This entry was posted in Uncategorized and tagged Educational Psychology, emotional regulation, Holistic Education, implementation science, mindfulness, wellbeing on Jul 29, 2014 by Holistic Education.